Our company is a trusted manufacturer, supplier and exporter of high quality Colour Coated Hi Rib Profile Sheets that has earned us an outstanding reputation in the market. The offered profile sheets have gained immense attention in the market for its high grade material used, width, thickness, light weight and many other qualities. Further, we make sure that our Coated Hi Rib Profile Sheets are water resistant, environment friendly and have efficient heat insulation. 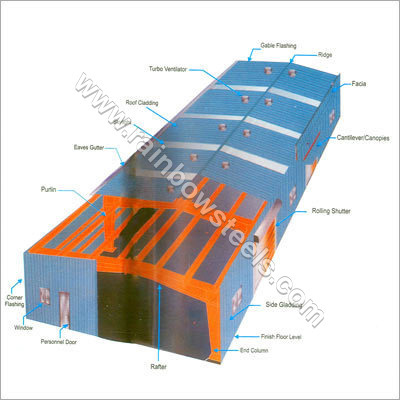 The outstanding attributes of our products have made it quite popular in the market and as a result, it is used in various application like various roofs and walls referring to the large size factory buildings, storage, exhibition halls, gymnasiums etc.